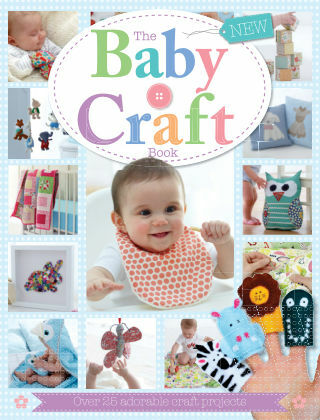 With Readly you can read The Baby Craft Book and thousands of other magazines on your tablet and smartphone. Get access to all with just one subscription. New releases and back issues – all included. Create clothes, toys and practical goodies that you can personalise to your heart’s content. From cuddly cushions and a patchwork quilt for the nursery, to safari finger puppets and summer booties for baby – and even keepsake items for parents – The Baby Craft Book is full of super cute project ideas to welcome any new arrival in style. Featuring: Nursery - Kit out the nursery with decorative and practical items, from cuddly cushions to a patchwork quilt. Toys - Keep baby entertained and stimulated, from safari finger puppets to a fabric picture book. Clothing - Get unique ideas for personal garments, from baby bibs to summer booties. For mum - Thoughtful gifts for parents, including keepsakes and practical solutions.